Things are looking up. For the first time in what feels like years, October "Toby" Daye has been able to pause long enough to take a breath and look at her life - and she likes what she sees. She has friends. She has allies. She has a squire to train and a King of Cats to love, and maybe, just maybe, she can let her guard down for a change. "Vampires in Chicago! You'd think headlines like that would have provoked the fine citizens of the Windy City to take up arms against us bloodsucking fiends. Instead, 10 months later, we're enjoying a celebrity status reserved for the Hollywood elite - fending off paparazzi only slightly less dangerous than cross- and stake-wielding slayers. Don't get me wrong. Joe Public isn't exactly thrilled to be living side-by-side with the undead, but at least they haven't stormed the castle...yet." The world of Faerie never disappeared: it merely went into hiding, continuing to exist parallel to our own. 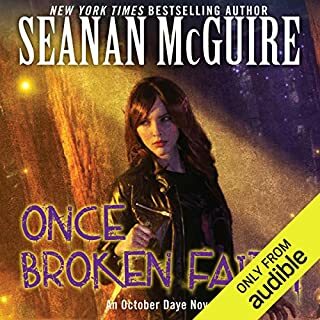 Secrecy is the key to Faerie’s survival—but no secret can be kept forever, and when the fae and mortal worlds collide, changelings are born. 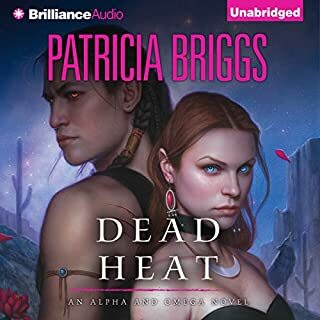 Half-human, half-fae, outsiders from birth, these second-class children of Faerie spend their lives fighting for the respect of their immortal relations. Or, in the case of October “Toby” Daye, rejecting it completely. After getting burned by both sides of her heritage, Toby has denied the fae world, retreating into a “normal” life. Unfortunately for her, Faerie has other ideas. 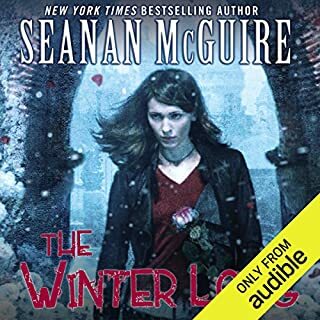 The murder of Countess Evening Winterrose, one of the secret regents of the San Francisco Bay Area, pulls Toby back into the fae world. Unable to resist Evening’s dying curse, which binds her to investigate, Toby is forced to resume her old position as knight errant to the Duke of Shadowed Hills and begin renewing old alliances that may prove her only hope of solving the mystery...before the curse catches up with her. An amazing beginning to a wonderful series. A fairy tale for adults. McGuire does a great job building this world and giving characters some nice depth, without sacrificing action or a nice pace to the story. 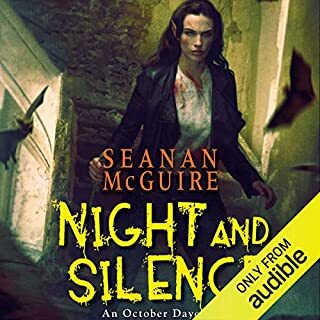 The narrator was very good and enhanced McGuire's work. Very entertaining. I have already downloaded the second book (A Local Habitation) and look forward to the third book which should be released in September. This was the first book I bought from here ,I read all of them in a mouth I love October Daye the main lass of this tale ,a fairy detective with a fantastic group of friends and foes ,shes warm, smart, tough , kind and funny each sole has a story of there own and no one is forgotten I can not recommend this book and all that follow more please please give it a bash, I fell like I've found a new group of friends.I hope someone else has this pleasure . The woman who reviewed Rosemary and Rue and had only negative things to say about Mary Robinette Kowal couldn't be more wrong. I'm so glad I ignored her comments and gave both McGuire and Kowal a chance. What a fantastic novel. I'm downloading the next two books in the series as I write this. 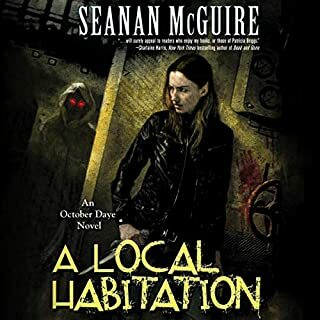 If you like faerie mythology, suspense, and a good detective story, then you've got to give the October Daye books a try. I'm not easily impressed, but this series has enchanted me. 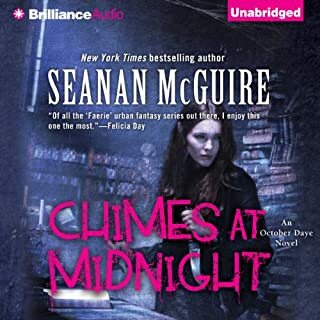 The characterizations are fantastic, and I've never heard a narrator successfully engage so many different voices, personalities, and accents. I really felt as though the characters were alive as Kowal read. Toby Daye has won my heart. 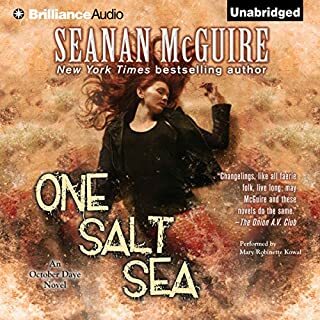 I hope this is only the beginning for Seanan McGuire. She's a gifted and imaginative writer. 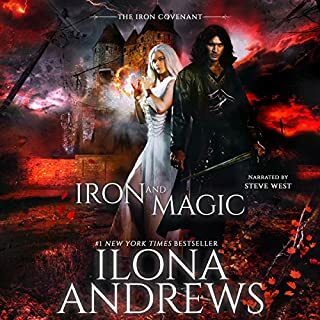 The narrator read the heroine rather mediocrely, without much variation, but her voices for all of the other characters were painful to listen to. Julie's voice was stilted and strange, almost like a bad impersonation of Shatner and the cheerleading coach from Glee on drugs. Her Japanese accent was horrible and so was her Irish...at least I think it was attempting to be Irish. Tybalt was ridiculous. All her character voices seemed so halting and slow, it didn't really make sense to me why she made that choice. The story itself didn't seem all that magical. All the realms of the Fae at your disposal, and they're out in San Francisco, without any history of how they all got there, or why. And she's a detective? Seems a bit unnecessary in the fairy world. Toby didn't make me care about her, maybe because she doesn't care about anything. She's just not likeable. She didn't really seem to try to get her family back, not even any attempted explanations. I'm only about half-way through, but I'm going to hang in there till the end and possibly amend this review. I love this story and the characters. 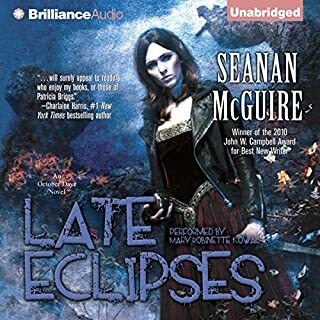 I read a couple of reviews that found fault with the narration and the audio, but I found Mary Robinette Kowal's voice to be wonderful, and her characterizations fun (well, most of them. I didn't enjoy her Lily.). Seanan's text - the story itself - is engrossing and entertaining, and I will definitely be buying the rest. I love this series, and MRK's voice will forever be Toby's voice in my head. Once again a book about the fey falls flat. But this time I'm pretty sure the reader is the problem. Mary Robinette Kowal does an adequate job of reading the story -- her voices, except for Lily, are decent, but there just isn't any intensity. The scenes where Toby is shot ect., are read with the same level of emotion as every other scene. Consequently, I felt nothing. It chugs along, but doesn't really entertain. I do have a feeling that reading this series would be a lot more interesting than listening to it. 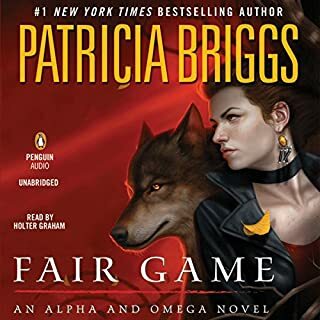 Read It File It: Ever had a book that overall didn't do much for you but you know that the rest of the series is probably right up your alley? That is me with Rosemary and Rue. While I spent most of the book just waiting for something to happen, once it did I was hooked. I am going to give book 2 a whirl. I have a feeling it will be a different experience. At first, I really didn't like the narrator, but grew accustomed to her voice. It helps that the story was so well done. 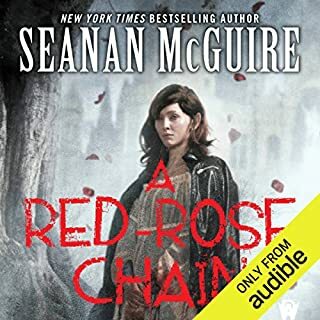 This is a re-read for me, I did the series on my Kindle and have switched to audio for this re-read. My only complaint is that I don't care for the vocalization of Tybalt. 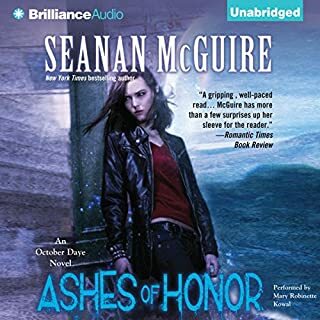 I hope the narrator changes the voice as the series (and his character) develops. 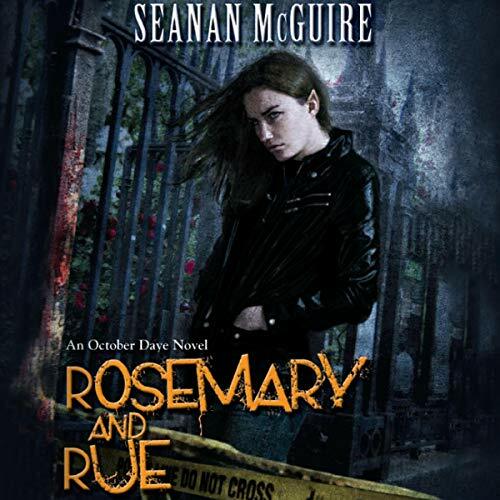 The structure of Rosemary and Rue is very formulaic. 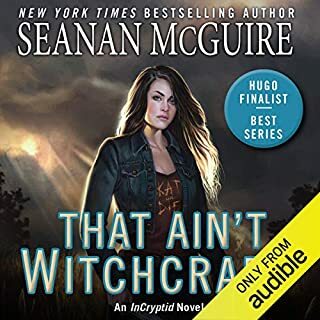 Overall, the audiobook presents a great mythical journey set in a modern-day fairy tale. You get gripped from the first of Toby’s mishaps. 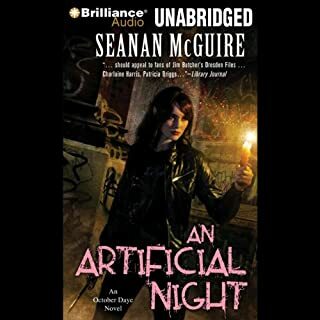 Although, I truly connected with Toby on the second part of the audiobook, after the awesome car scene over the Golden Gate Bridge. 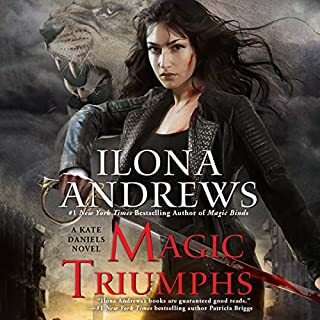 I loved the fantastic elements in Rosemary and Rue, such as the kelpie, a large black horse with glowing red eyes that just happens to smell like the sea. The rose goblin, a kitty cat covered with rose thrones that rattles them when it gets upset, is adorable. It’s also nice to see a few more tales, tiger stripes, and fox ears on characters outside of anime. However, I had this terrible feeling of sadness throughout the audiobook. It seems like the universe is out to kick Toby when she’s down. Even the title itself is a terribly sad reference in the book that you only understand at the very end. Mary Robinette Kowal reading was very appropriate for the character. 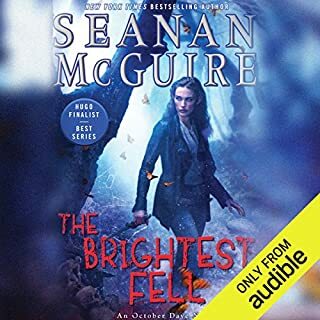 The narrative voice is light and young-sounding, but with enough of an edge to pass for what I would consider the voice of a half-fairy, tiny, light, bounty-hunting kickass woman. 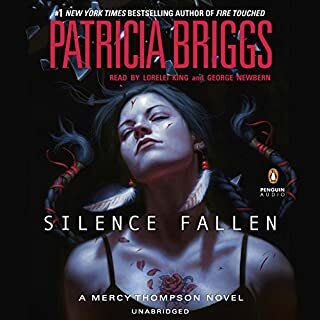 My only criticism is that some of her more interesting or intricate accents, for Tybalt and Lilly, for example, require her to slow down her reading and enunciate very carefully, which does drag out certain parts.